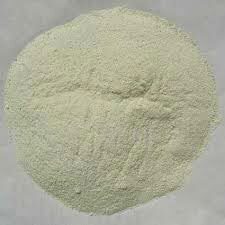 Calcined Pyrophyllite that we offer is hygienically processed and free from impurities. We are based in Madhya Pradesh, India, and involved in the manufacturing, exporting and supplying of quality Calcined Pyrophyllite. We can also provide our Calcined Pyrophyllite in different forms such as powdered, grains and lumps if demanded by buyers. Our Calcined Pyrophyllite is widely demanded in agricultural, cosmetics, electrical, sanitary, and others.